Tezpur Air Force Station has issued a recruitment notification for the year 2017. According to the Tezpur Air Force Station Recruitment 2017 , applications are invited from eligible candidates application for the temporary posts of Sales Attendant at Unit Run Canteen, Air Force Station, Tezpur, Assam. 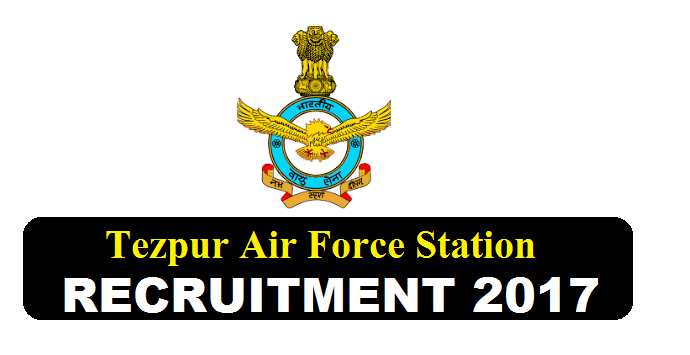 Following are the details of the posts under Tezpur Air Force Station Recruitment 2017 with post details, number of vacancies, age limit, salary, required qualification with application details. Educational Qualification : Candidates must passed 10+2 (intermediate) with basic computer knowledge and preferred experience. Age Limit : Maximum 30 years as on 15/Oct/2017. Pay: Rs 7,150 p.m. + 3% increment p.a. Mode of Selection : Candidates will be selected on the basis of Written test and interview.